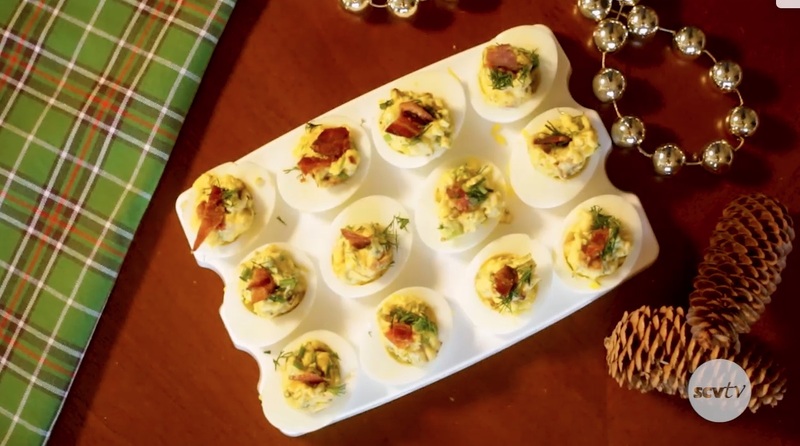 The classic appetizer of deviled eggs gets an upgrade with the addition of candied bacon. Mix together the mayonnaise, mustard, dill, cider vinegar, 1/4 teaspoon cayenne, the scallions and the minced bacon in a medium mixing bowl. Season with the salt.